Swapping bingeing on booze for a spell of abstinence? If you’re looking to limit your alcohol consumption this January, here’s a round up of healthier, hangover-free alternatives, courtesy of Club Soda. It surprises most people that a soft drink containing no added sugar or chemicals can deliver a kick that inspires that ‘wow’ moment. A soft drink with a cayenne kick! Lower sugar and lower calories. Rethink your drink with Bitter Union. Add a few dashes of these all natural aromatic bitters to soda or tonic to create a low sugar, low alcohol drink. Inspired by Prohibition-era shrub making, their ingredients are steeped in apple cider vinegar for several days to capture the raw flavours. Adding water and a light touch of fizz creates the perfect soda… lightly sweet with subtle flavours, and that famous ‘Prohibition’ kick at the end. Nirvana is the UK’s first dedicated low/non-alcoholic brewery based in Leyton, East London. Try their Kosmic Stout and Tantra Pale Ale. Nonsuch’s drinks are sparkling, fruitful and herbaceous. Made with a sweetened cider vinegar-based syrup, they are tart, refreshing and bursting with flavour. A dry refreshing blend of Welsh spring water, botanical extracts and natural infusions. Free from artificial flavours, colours and preservatives, with no added sugar. 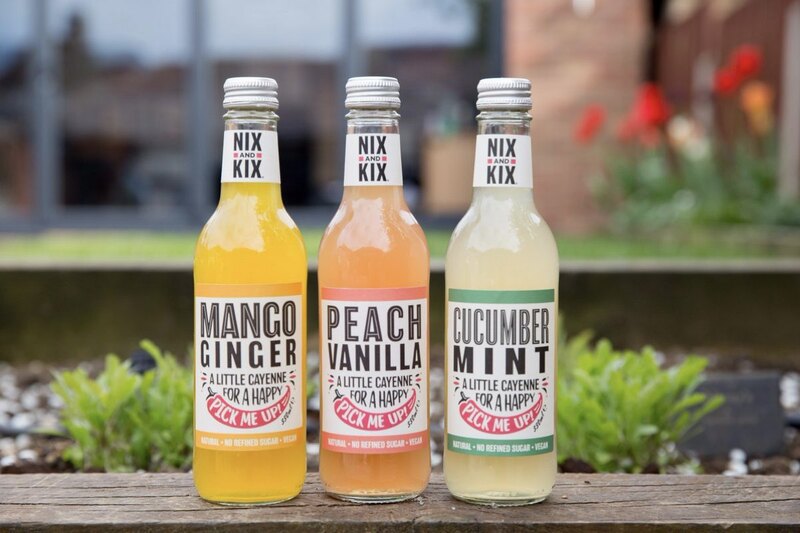 These botanical sodas are inspired by that original recipe crested by Harold and Iolo. Available at Borough Wines. Skilfully blending natural ingredients and botanical extracts to deliver truly unique tasting syrups. Their exciting range can be diluted with either still or sparkling water, and also make great bases for non-alcoholic cocktails.